Mustard dressing: Mix together the Dijon mustard and lemon juice, season with salt and pepper, then whisk in the olive oil (2 tbsp for 4; 1 tbsp for 2). Add to the cabbage salad and mix through. 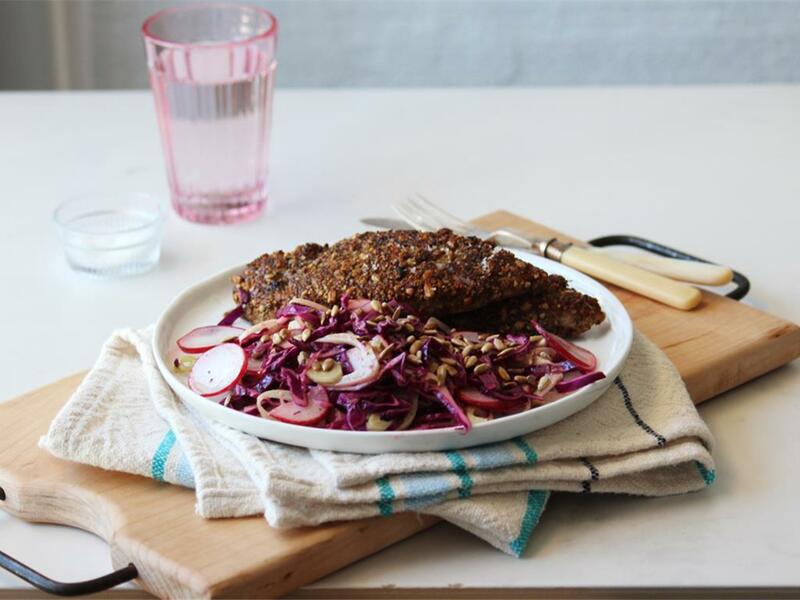 Serve the pork schnitzel with the cabbage salad on the side.